The elegant tiered wedding cake is a centuries old tradition that dates back to medieval times and remains an important aspect of weddings today. It is often the centerpiece of a wedding and sits on its own table of honor. Over the years many other traditions have become associated with this grand culinary confection. If you are planning to order a wedding cake for your wedding, here a few fun-filled customs to keep in mind. This charming tradition is a photo opportunity included in every wedding album, along with other events including the first dance and the tossing of the bouquet. The cutting of the cake represents the first activity done together as a married couple. Originally, the bride cut the cake alone to symbolize the loss of her virginity. But cake cutting became more complicated as cakes became multi-tiered to serve multitudes of guests, so now the groom’s assistance is typically enlisted. Usually, the married couple simply cuts the first slice and leaves the rest up to the caterer. In the second part of the traditional cake cutting ceremony, the bride and groom feed each other a bite of cake. This is meant to be a romantic gesture symbolizing a commitment to caring for each other. However, this custom has evolved into the couple mashing the cake into their partner’s face for comic effect, to the delight of the onlooking guests. It is said that when a person sleeps with a piece of wedding cake under their pillow, they will dream of their spouse that night. This custom dates back almost three hundred years. As cakes today are typically soft and moist, this is an act that can get somewhat messy! Most couples save the top tier of their wedding cake to eat on their first anniversary. Couples often stage a small cake eating ceremony to commemorate the big day. A well-wrapped cake can typically survive a year in the freezer without too much damage or loss of flavor. Some weddings incorporate a smaller groom’s cake, often decorated to reflect the groom’s hobbies, tastes and even their favorite sports team. Groom’s cakes are often chocolate flavored as an alternative to featured wedding cake, which is typically vanilla with white icing. Victoria Bakery and Café specializes in custom-designed traditional Italian wedding cakes and contemporary wedding cakes, as well as tiered cupcake wedding cakes and Italian wedding cookies. Our cupcake wedding cakes are pre-portioned, making it both trendy and easy to serve. If you’re on a budget, you can give your cupcake wedding cake as party favors in an elegant box. We pride ourselves on our originality, quality, and unique ability to make each cake special and spectacular. Every wedding cake should be designed with the honored couple’s wishes in mind, and our reputation, experience, and techniques enable us to create the perfect cake for you. 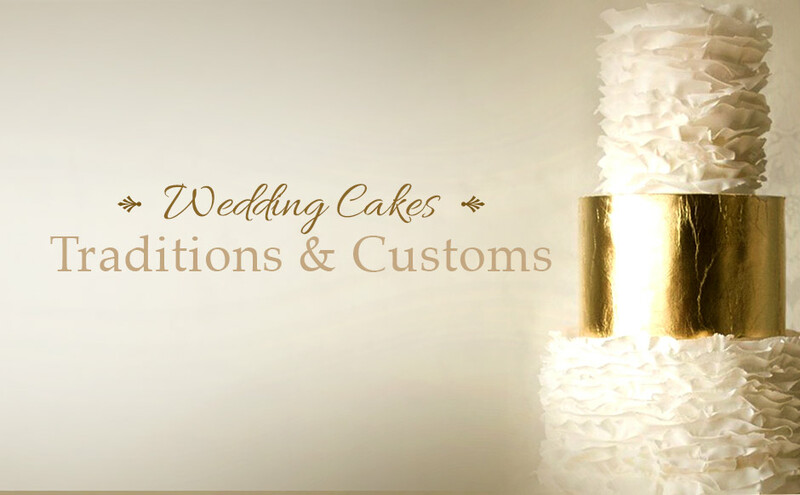 We make everything from modern styles to traditional Italian cakes. Choose from unique designs that speak to your individual tastes and sensibilities. Square wedding cakes with clean, contemporary lines look elegant when made of fondant and wrapped with hand–sculpted ribbons and bows, bringing to mind an elegant Tiffany’s box wedding cake. If you prefer a classic look, we also made tiered and columned cakes. You can match the theme of your wedding by using the same color scheme and by choosing a casual or formal style, or by adding any other personal touches. We can even personalize your wedding cake by adding an iced inscription, or by commemorating a special event in your lives. Whether it be your trip to Paris or the day you met in the schoolyard, come put our creativity to the test. You’ll enjoy a multi-tiered masterpiece that will not only be a work of art, but have an unforgettable, delicious taste! 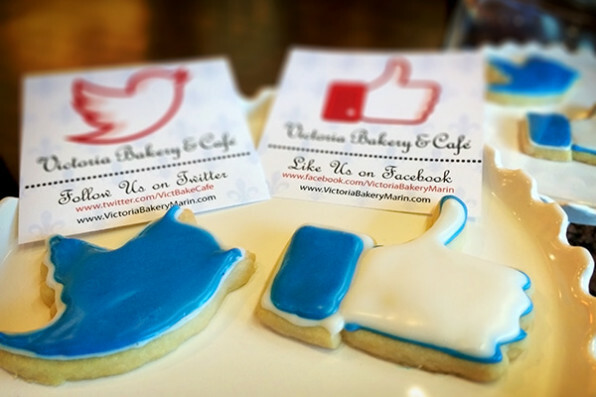 Sign up with Victoria Bakery & Café to receive special offers, discounts, recipes, and more! Plus, you'll immediately receive your first special offer!